In the heart of the Joo Chiat neighbourhood, stands the two-storey Geylang Serai Wet Market and Food Centre, a popular locus among the Malay community. 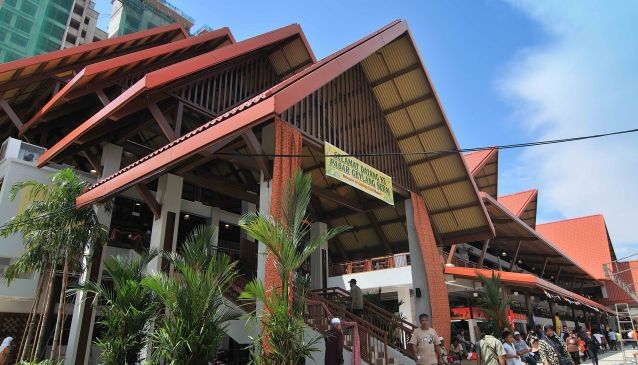 The 9,000 sq ft building features on the first storey a large offering of shops for household products and traditional Malay fabric and clothing such as Batik, Sarong Kebaya and Baju Kurung while the wet market caters all your culinary needs especially for halal food. It goes without saying that you won't find any pork here as it is mostly frequented by Singapore's Muslim community. On the second floor, the food centre is home for fantastic Malay and Indian-Muslim specialties at the lowest price. Don't miss the fabulous Nasi Padang at Hajjah Mona Nasi Padang (Stall 166) and Sinar Pagi Nasi Padang (Stall 137).